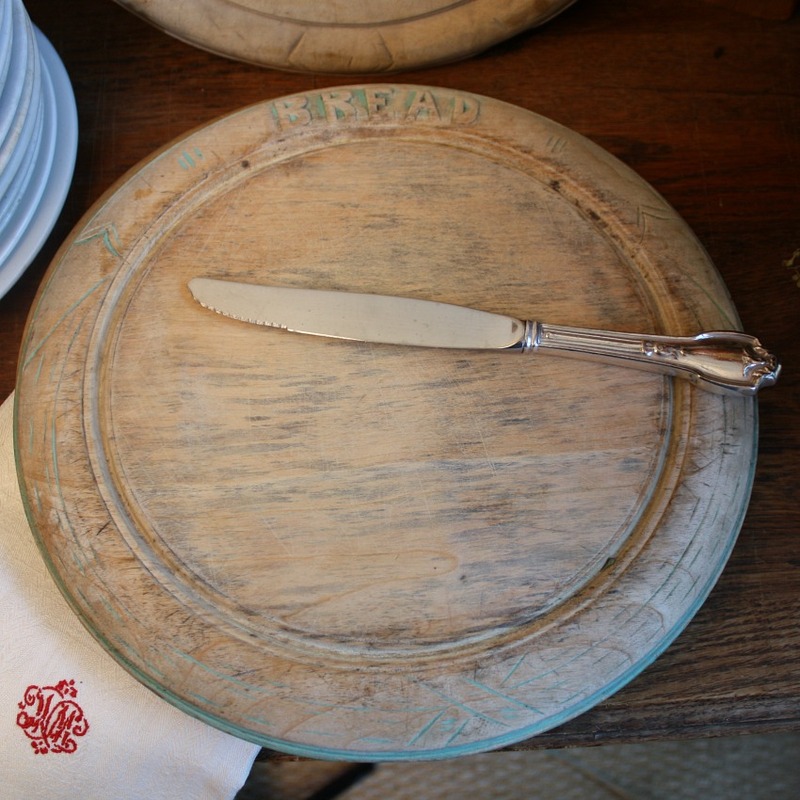 Decorative and usable Antique Bread Board, a welcome addition to your Country style kitchen. 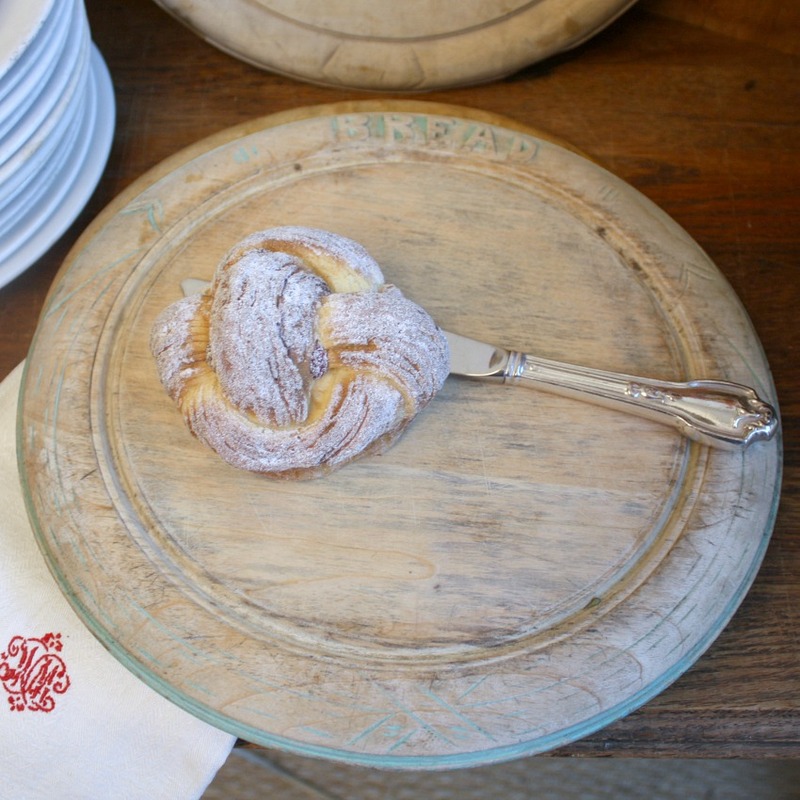 I love these here at home, and use them happily for serving bread, crackers and cheese, fresh-baked croissants, or for slicing an apple. 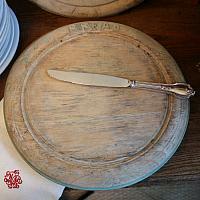 The round boards from the late 19th century and early 20th century are getting rare to find! This beautiful board has a lighter color, a hand done curved edge, and great patina, remnants of light green paint. 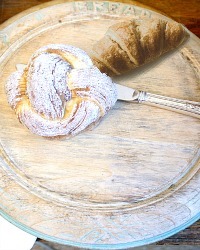 This board is a fabulous addition to your collection of English and French antique bread and cutting boards. Display in your cuisine with joy!